New Delhi: Committing to push growth rate to 6-6.5 percent in the next fiscal, Finance Minister Arun Jaitley today said the government is "working overtime" to push reforms, especially, in sectors like insurance, coal and Goods and Services Tax (GST). "We are working overtime on reforms... Insurance bill will be taken up next week", the Minister said. The Minister further said that he sat late last evening with state Finance Ministers to sort out the issues hampering roll out of the long-pending GST. New Delhi - Finance Minister Arun Jaitley will today meet his state counterparts to iron out the “challenges” in rolling out the Goods and Services Tax (GST). The meeting would “discuss some of the challenges that the states see at this point of time”, Minister of State for Finance Jayant Sinha told reporters on the sidelines of Delhi Economics Conclave here on Wednesday. “On GST we are working on variety of discussions with the states. The legislative aspects of the GST are complicated, they have to be approved by the states. CST compensation is one of the item which is under discussion,” he said. New Delhi - Government on Tuesday said Mauritius is yet to agree to certain proposals to the long pending revision of bilateral tax treaty. "India has made certain proposals for revision of DTAC to end round tripping and other aspects. Mauritius is yet to agree to such revision," Finance Minister Arun Jaitley said in a written reply to the Rajya Sabha. A Joint Working Group has been set up by the two countries to find a mutually acceptable solution towards revision of Double Taxation Avoidance Convention (DTAC). Jaitley said 10 meetings of the JWG have taken place so far, the last being in November 2013. 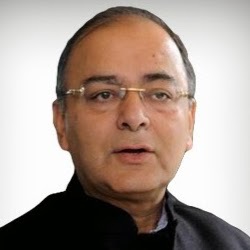 New Delhi, Dec 2 : Union Finance Minister Arun Jaitley on Tuesday said that Union Minister of State Sadhvi Niranjan Jyoti has apologized and withdrawn her statement. "She has apologized and withdrawn her statement. Now what happens outside isn't within domain of this House," said Jaitley. Earlier today, Jyoti apologized in the parliament for using abusive words while addressing voters in a recent campaign in the capital, and said that she had not intended to hurt anyone. The opposition, however, dismissed the union minister's apology and instead pressed on her resignation. Prime Minister Narendra Modi also expressed his displeasure over the statement . New Delhi - Identity of 427 account holders abroad has been established and 250 of them have admitted to having accounts, Finance Minister Arun Jaitley revealed on Wednesday while asserting that the government is on the right track in bringing back illicit money stashed abroad. Replying to a debate on black money in the Rajya Sabha, he said the government will "pro-actively chase" those having black money and will not rest till the last account is identified. 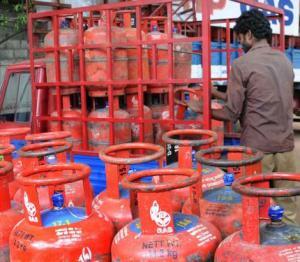 New Delhi - Government is considering doing away with the LPG subsidy for the well-off, Finance Minister Arun Jaitley said on Friday. "The next important decision India will have to take is whether people like me...(are) entitled to get our LPG subsidy," he said. "I think the sooner we are able to take these decisions as to who is entitled to these subsidies, of course some people would be, the better it would be for our system. These decisions are all on our agenda," he added. Currently, 12 cylinders are available to consumers at a subsidised rate of Rs 414 each (in Delhi). Any requirement beyond this will have to be purchased at the market price of Rs 880 per 14.2-kg cylinder. 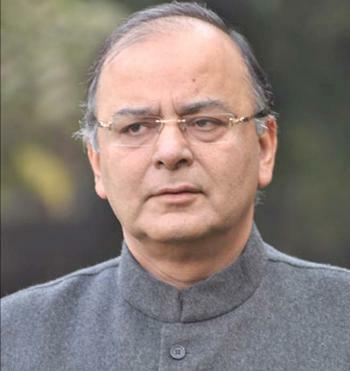 New Delhi, Nov 8 : Union Finance Minister Arun Jaitley has claimed that the introduction of the retrospective taxation bill by the previous United Progressive Alliance (UPA) regime in Parliament, had made it clear that the Bharatiya Janata Party (BJP) would win the 2014 Lok Sabha elections. 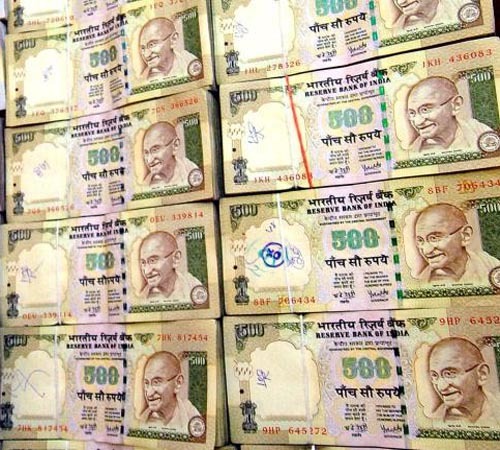 New Delhi - Amid a growing clamour for naming of alleged black money holders, industry body Assocham Sunday said the government should not prematurely disclose the names of such persons as it could hamper battle against this menace. "The double taxation avoidance treaties are important for the Indian residents and corporates which can avoid paying taxes twice. Revealing the names of individuals allegedly holding unaccounted money can make to headlines but will surely make India's battle against the menace weak. Besides, violation of DTATs will deal a severe blow to the country's credibility," it said in a statement. New Delhi : Days after approving lower than demanded gas price increase, Finance Minister Arun Jaitley has said the USD 5.61 per mmBtu rate will ensure explorers make profit but not windfall gain. "It is a rational decision... Even at this (USD 5.61) price, the explorers are going to make profit. They won't have a windfall profit. At the same time, the burden of consumers will be minimal," he said. New Delhi: With the wholesale price index inflation falling to a 5-year low in September, Finance Minister Arun Jaitley on Tuesday said the government has been able to bring food inflation under control. 'We have been able to bring food inflation under control', Jaitley said of the food prices dipping to a 5-year low. With the price of food softening, the wholesale price inflation was down to near five year low of 2.38 percent for the month of September. The WPI inflation stood at 3.74 percent in August and 7.05 percent in September 2013. New Delhi, Aug 30 : Congress leader Sandeep Dikshit on Saturday said Finance Minister Arun Jaitley should apologise to the nation for fooling them about inflation. "I am surprised that he has suddenly realized this. When it used to happen under the Congress government, he used to give exactly an opposite observation to it. His own people, lots of his party spokespersons used to go on TV channels and severely and bitterly criticize the Congress and almost call us as an ineffective government. Now, they have realized the reality of the government and why inflation comes and does not come," Dikshit told ANI here. 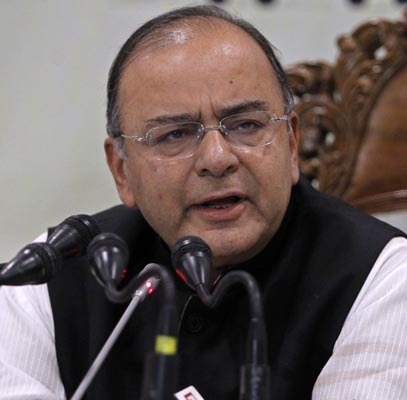 Mumbai - Finance Minister Arun Jaitley Wednesday said controlling food inflation, which has been consistently hovering around the double-digit mark, is a "top priority" for the government. "Food inflation will be a challenge and a top priority for the government," he said, speaking at an event. He said tackling food inflation, which came in at 9.56 percent in July, will "always be a challenge". New Delhi, Aug 26 : Defence Minister Arun Jaitley met the three service chiefs on Tuesday to review the security situation across the country amid continued ceasefire violations by Pakistani troops along the Line of Control in Jammu and Kashmir. Army Chief General Dalbir Singh Suhag, Air Chief Arup Raha and Navy Chief Admiral R K Dhowan reportedly discussed the steps required to be taken by the armed forces to tackle the situation. Union Home Minister Rajnath Singh also had a meeting with heads of security and intelligence agencies on the issue on Monday. Jangipur : Amid repeated ceasefire violations by Pakistan, Defence Minister Arun Jaitley on Sunday said there has been a series of "provocations" by Pakistani Army and the country's armed forces are "responding adequately". "I have said yesterday and repeating it today that there has been a series of provocations from the Pakistani Army in the last few fays," he told reporters on the sidelines of inauguration of Murshidabad campus of Management Development Institute (MDI). Amritsar, Aug 18 : Union Defence Minister Arun Jaitley asked Pakistan to decide what relationship the country wanted with India. He said that the onus was on Pakistan to repair the relationship. "The powers that lie within Pakistan have to agree on what relationship they want with India." Jaitley also accused Pakistan of deliberately breaking the ceasefire. New Delhi: Giving in to opposition pressure, the government on Thursday referred the controversial Insurance Bill to the Select Committee of Rajya Sabha. The House adopted a motion in this regard after Finance Minister Arun Jaitley moved it while informing members that the panel has been asked to look into the Bill and submit its report on the last day of the first week of the next session. New Delhi, Aug 9 : Finance and Defence Minister Arun Jaitley today said no political pundit could have predicted that the Bharatiya Janata Party (BJP) would win so many seats and the Congress would perform so badly in this year's general elections. He said dynastic politics had been delivered a major blow in the elections. Addressing the BJP's national council here, Jaitley said, "Those who thought that good governance is not important, but caste equations are important, and that happens in a lot of provinces in north India, have been proved wrong." New Delhi: Reaching out to Congress, Finance Minister Arun Jaitley on Monday said the government is open to minor modifications in insurance Bill for its passage in the current session of Parliament. "The government is extremely anxious that the insurance Bill, which has been pending since 2008, is finally cleared... In case they (Congress) want to make any minor modifications, they should suggest that," he said. An all-party meeting earlier in the day failed to break the deadlock in the face of opposition demand to send the Bill to a select committee.